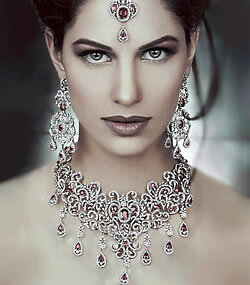 Dates fixed, wedding cards zeroed in, bridal outfit selected, now comes the turn of wedding jewellery. 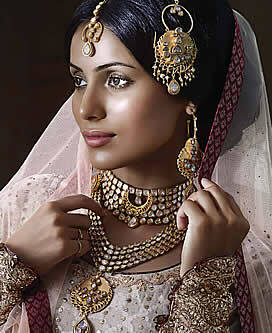 The bridal jewellery form an important part of putting together the perfect look for the bride. 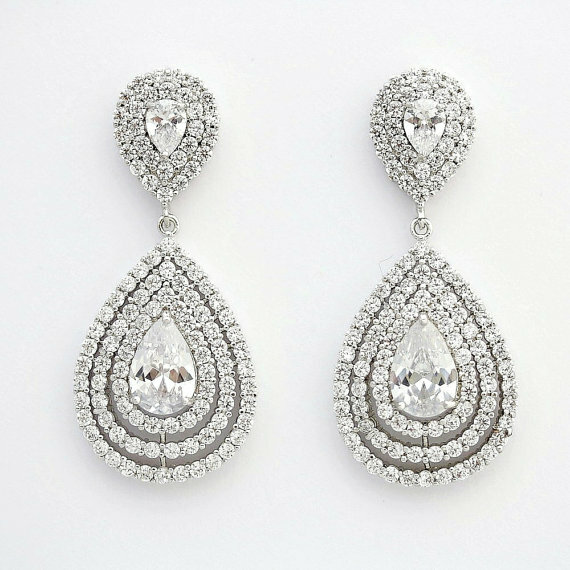 For this reason, the task of selecting the perfect pair of bridal earrings is all the more important. A pair of earrings can make or break your look. This post will take you through the things that you need to take into consideration to select the perfect pair of earrings for your big day. 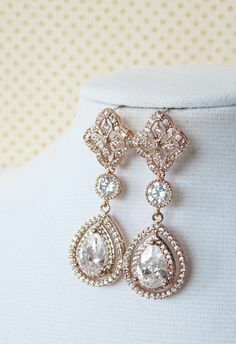 The bridal earrings should either match the outfit or be a complete contrast. Also, this will set the tone of the look that you want to create. Another aspect that you should take into account are the types of embellishments used on the outfit. For instance, if golden zari work is used in the saree, then select earrings that would compliment the embellishments as well. 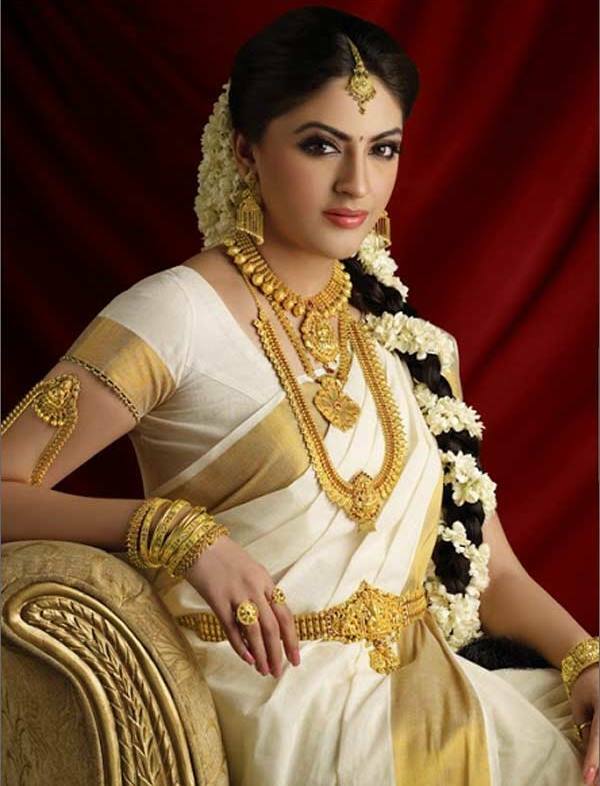 Gold jewellery will go well with zari work. 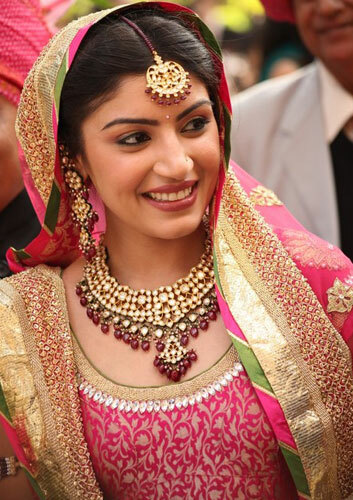 The skin tone of the bride should be considered as well while selecting jewellery . Brides with a warm or golden skin tone should go in for gold or copper. On the other hand, brides with a cool skin tone should go in for silver, diamonds, and crystals. 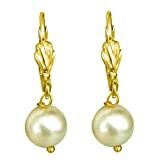 There are a host of choices that you can choose from when it comes to earrings. 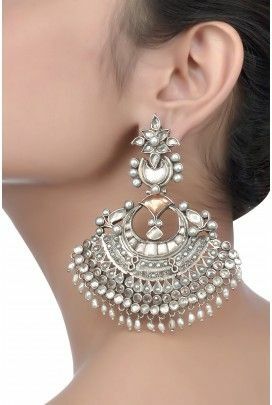 Here’s a list of some of the most popular types of bridal earrings that you will fall in love with. It’s best to know your options before you select a pair. 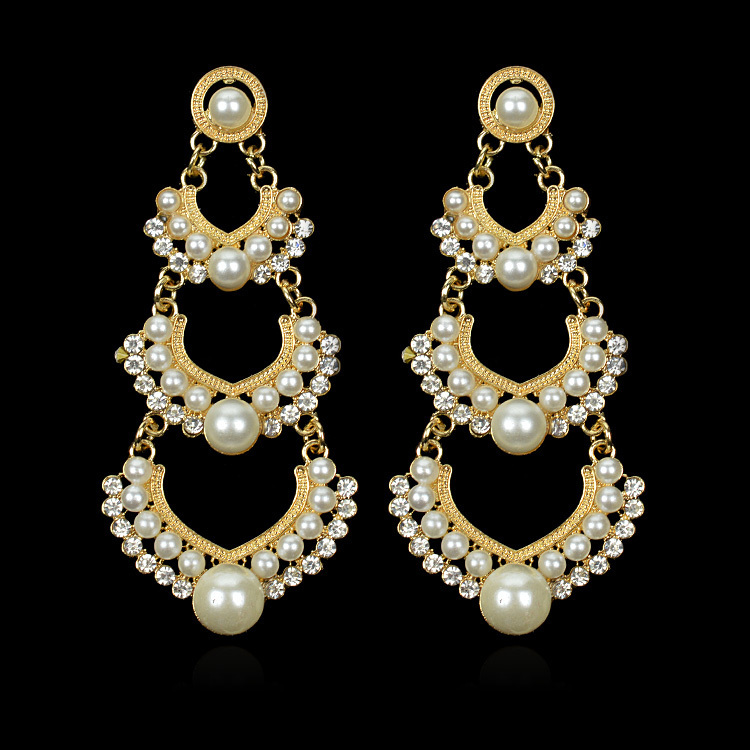 Pearls are elegant and if you want to go in for a glamorous yet sophisticated look then this is the earring type that you should select. Most women have a weakness when it comes to gold. And for this reason, it is often the first choice in a bride’s mind. Besides that there are several combinations that you can select, with different gemstones. 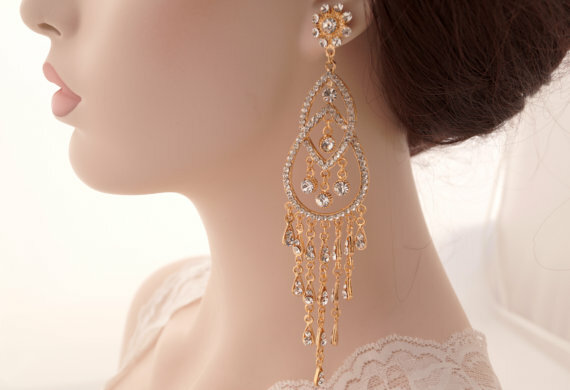 The Swaroski in rose gold earrings look regal and give a different look to the bride altogether. If you are not a big fan of silver or gold, then this is the perfect option for you. 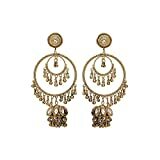 Chandelier earrings are royal to look at and accentuate the neck. 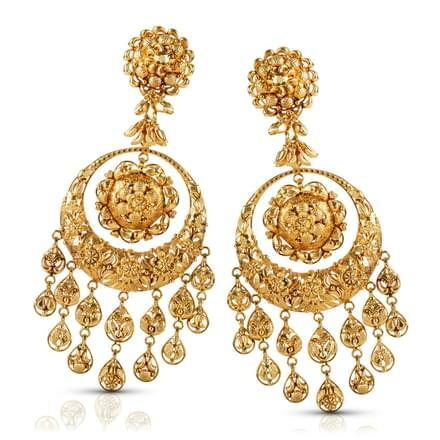 Also, these earrings will be the show-stopper when it comes to the jewellery that you select for your big day. As the old saying goes, ‘Diamonds are a girl’s best friend.’ And what better way to wear diamonds than on your wedding day! In case you’re not a big fan of gold jewellery then silver is a great option for you. 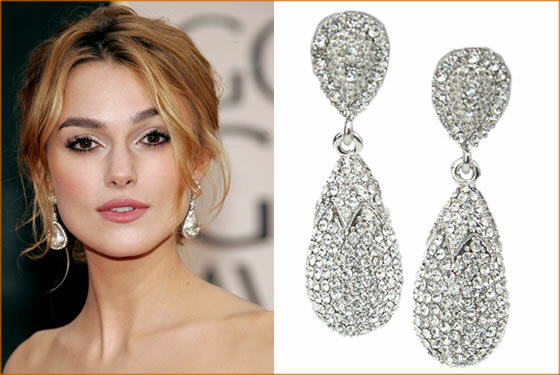 Well, if you love diamonds then think again because you might fall in love with crystal earrings are well. 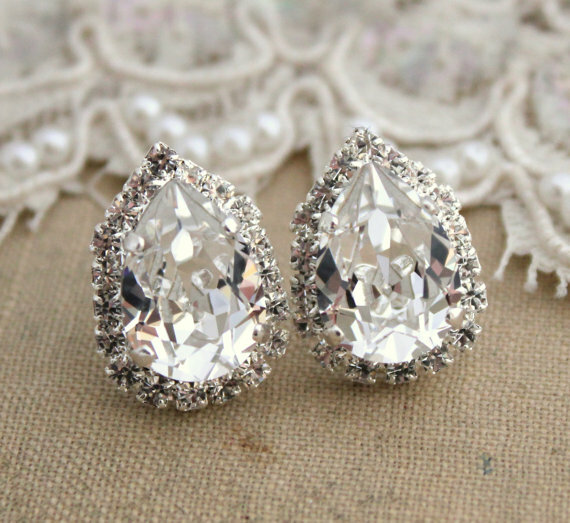 It will add shimmer and shine to your bridal outfit. What are you going to do if silver and gold don’t quite excite you? That’s when you should try out rose gold. As the name suggests, all that glitters is not gold but rose gold looks more elegant. If you want to keep it simple, then a pair of studs with precious stones is the perfect option for the big day. 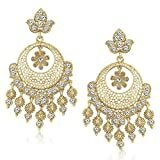 Another type of earrings that you need to consider are drop earrings. They are simple, elegant, and aren’t too heavy. 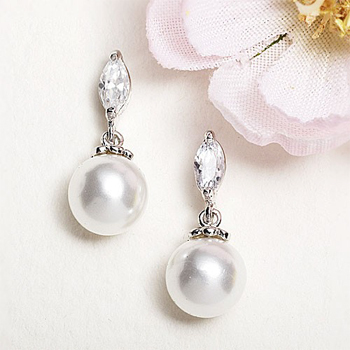 Pearl drop earrings are pretty and the best friend of a minimalist bride. 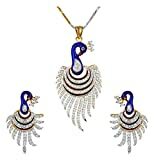 This is something that will go well with innumerable outfits and will see the light of the day even after the wedding. 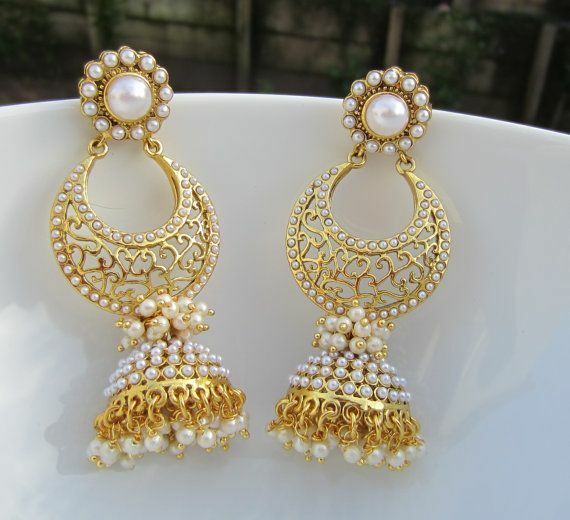 Kundan earrings are quintessential for the traditional Indian bride. 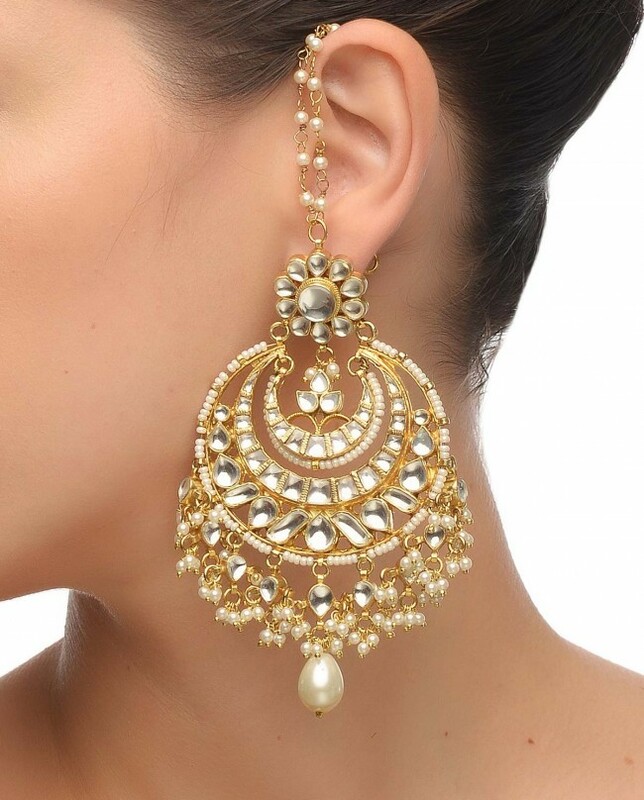 This style is known and loved for the fact that the intricate designs are exquisite and befitting the occasion. 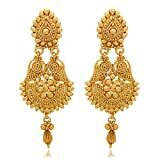 The chand bali is an excellent type of bridal earrings that many North Indian brides select. All the earrings look so pretty! The designs are very unique and Love this collection. Loved this collection. All the earrings look so pretty.